Specialised robots, devices for DIY content creation and new TV displays are among the trends to watch in 2006. That is according to the American-based Consumer Electronic Association which has published its view of technologies set to influence in next 12 months. Devices and trends around video gaming and high-definition TV (HD) also make it into the top five. "They truly illustrate the progress of technology in the digital age," said Gary Shapiro, president of the CEA. A robotic future has long been talked about but so far has failed to deliver anything to match a human's flexibility, mobility and dexterity. But specialised robots are finding their way into homes, with robotic vacuums already doing the cleaning duties in half a million US homes. This trend is set to continue, according to the CEA. Domestic robots that can control home networks, sort laundry and scrub the kitchen floor are not far off and are likely to be sold in much the same way as other household appliances are. They will not, however, become mass market until they have reached the prices of other labour saving appliances and are proved to be reliable and effective, said the CEA. People are also increasingly likely to find space in the living room for devices that can record HD content. Already, 10% of US homes have digital video recorders and a surge in HDTV sets and HD programming are paving the way for recordable HD devices. A format war between the competing standards of Blu-Ray Disc and HD DVD could hamper this development, the report finds. 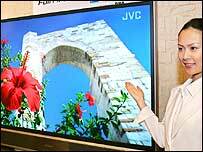 Meanwhile sales of flat panel TV such as plasma and LCD will continue to rise, as people continue to be willing to pay a little more for a TV set with better picture quality. New technologies such as surface conduction electron emitter (SED) and organic light emitting diodes (OLED) will be launched in the near future, offering even better picture quality. DIY content creation is already a budding market with consumers set to spend about £8bn on devices to help them create their own content. Devices such as digital cameras, camcorders, audio players, software and printers have all fuelled this DIY revolution. Creating a new breed of photographers, filmmakers, musicians and artists, the digital home studio market is likely to thrive in the coming years, the report finds. Gaming is always up there in any top 10 tech list, whether it be new trends such as mobile gaming or the next-generation consoles being developed by Microsoft, Sony and Nintendo. The launch of next-generation consoles from these firms this year and early in 2006 will increase their revenues by 18% to £2.1bn in 2005 according to the CEA. On-demand game services offered via cable, satellite and broadband TV is likely the be the next big thing and there is also an opportunity for the next-generation consoles to become the hub for a digital home. Incorporating online game play with HD movie playback and connectivity to PCs, digital cameras and other devices, the games console could take centre stage in the living room, the study suggests.